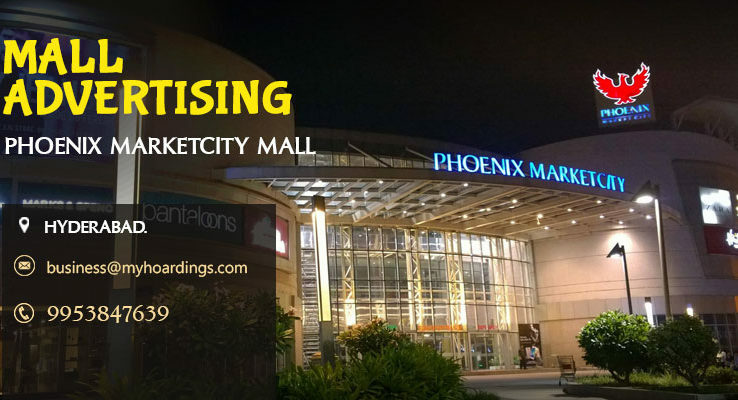 Phoenix Marketcity Mall is famous mall of Pune that is located at the central area of Vimannagar, Pune. The city has various malls but Phoenix Marketcity Mall stands unique as it has something or the other for every age group. PVR cinemas offer great entertainment options, fashion brands such as Tommy Hilfiger, Zara etc are favorite of shopaholics and various eating joints satisfy the hunger of foodies. The malls make up a great platform for out-of-home advertising as the mall is very spacious and strategically organised. OOH advertising options such as brand kiosks, escalator branding, lift door posters, washroom branding etc can be very effective in attracting target audience.